The other night, I was praying for Laura Kate and looked up this post because I think it is a powerful thing to pray over a daughter. The post itself needed some reformatting to this blog (it was written on an older blog of mine), so I just decided to republish it. 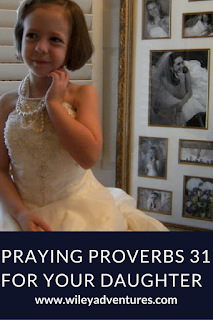 I hope it is something you find helpful as you pray specific things over your daughters! 1. Pray that if the Lord so wills, she would have a husband and children one day. 5. Pray for clear thinking that she would think and act wisely when it comes to making decisions for her family. Pray against impulsiveness. (v16). 11. Pray that she would speak with wisdom and would instruct others in the faithfulness of the Lord. (v. 26). 13. 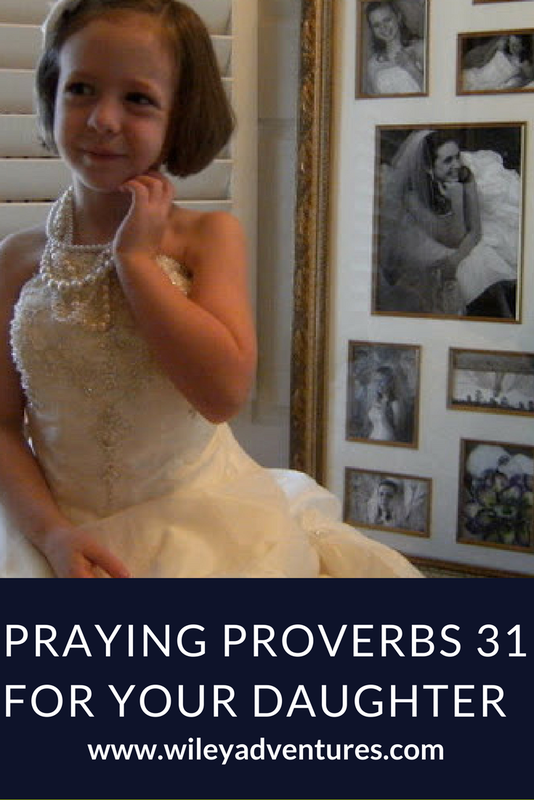 Pray that she would not put her hope in things of this world like beauty, charm, and things, but that she would only and always fear and respect the Lord. (v. 30). Beautiful prayer for daughters and granddaughters. And the photos? Priceless!! !